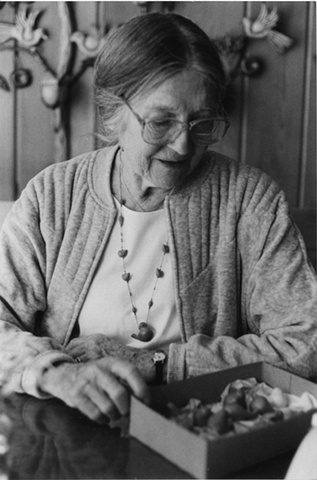 Delia Robinson - Mildred MacKenzie the Whistlemaker. My mother is shown here reviewing her inventory of small bird whistles. This picture was taken in 1991 when she was seventy-eight, during her most creative years.